Thompson Smith and Puxon Residential Property Lawyer, Laura Finnigan, discusses the 6 month rule on selling or mortgaging your property. This is an issue, of which some may not be aware, which may affect your ability to sell or mortgage your property until you have been registered as its owner for at least six months. As a result of mortgage lenders suffering losses in the past, most lenders will not now permit new borrowing against a property until the owner has been registered at the Land Registry for 6 months. So if you are looking to sell your property and have been registered as owner for less than 6 months, most (but not all) lenders will not lend to a Buyer in these circumstances. For example, you buy a property at auction with a view to refurbishing and selling it on at an enhanced price to take into account a rising market and the improvements you have made to the property. You complete your purchase, for example, on 2nd January 2016 but Land Registry does not register you as the owner until 1st February 2016 (because it can take several weeks to obtain registration following completion). 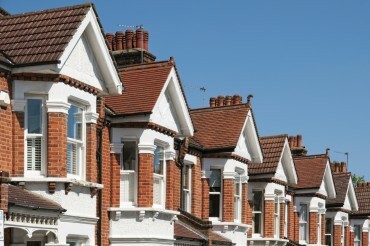 Most (but not all) lenders would not lend against the property until after 1st August 2016. Clearly this has a potential impact upon how quickly you can dispose of the property. Another example would be where you buy a property for cash and then decide that you wish to raise money against the property by way of a mortgage. Again, most lenders will not lend to you until you have been registered at the Land Registry as the owner of the property for 6 months. Some lenders are willing to lend in specific circumstances (for example where you inherit property), but in nearly all cases the solicitor acting for the lender must report the specific circumstances of the case to the lender, who will then decide whether or not to proceed with the mortgage. Most lenders are members of the Council for Mortgage Lenders (CML). The CML Handbook contains a list outlining the requirements of individual lenders on this particular topic which can be found here.